The $4.9 million Stormwater harvesting project (Orange) has been operational since 2008. 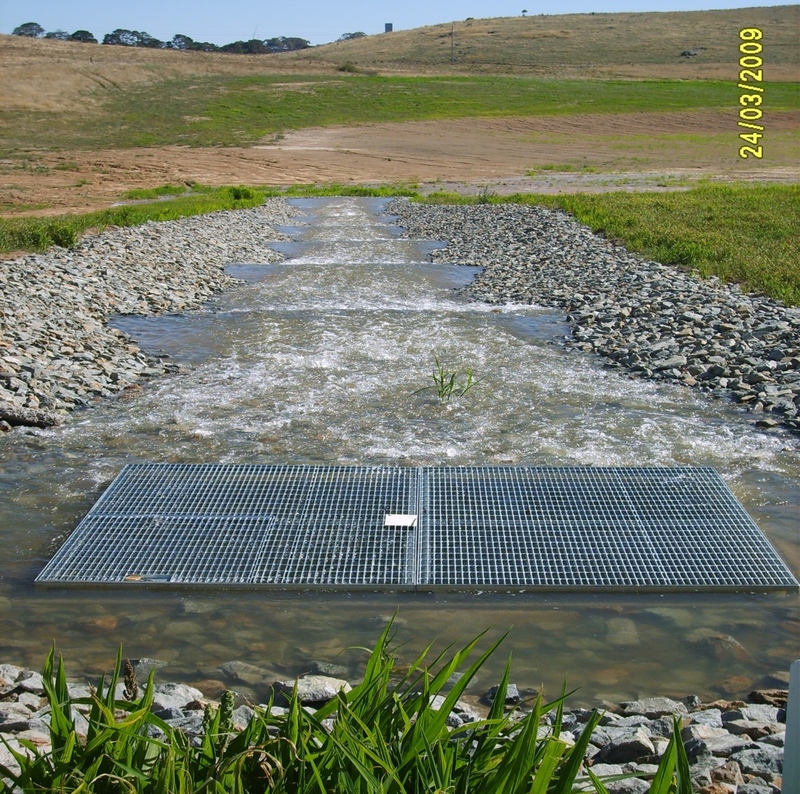 This internationally acclaimed Blackmans Swamp Creek stormwater harvesting scheme transfers a portion of the storm flows from the creek into the major city storage of Suma Park Dam. This assists in supplementing the city’s raw water supplies. The project has attracted national and international interest. Geolyse provided impact assessment, design and survey services, and TWS successfully tendered for the construction of the Electrical MCC’s (9xVFD panels to 185Kw), various Pumping Stations (to 450l/sec) and mechanical / pipeline works, with recently commissioning the UV filtration phase.